Let It Snow! 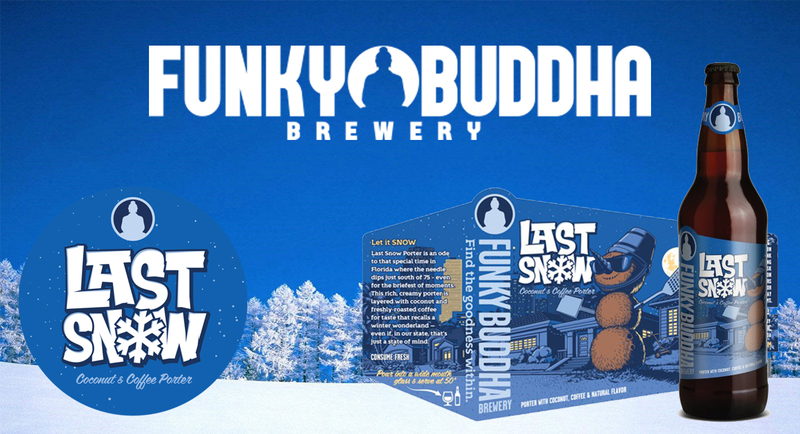 Last Snow Coconut & Coffee Porter is an ode to that special time in Florida where the needle dips just south of 75 – even for the briefest of moments. This rich, creamy porter is hitting South Florida distribution and the Funky Buddha tap room (1201 Northeast 38th Street, Oakland Park, FL 33334) in 22oz bottles on February 4th! Layered with coconut and fresh roasted coffee, you can enjoy this winter fantasy at your favorite bars and restaurants throughout South Florida. As well as pick up bottles to go at local retailers including Total Wine & More, ABC FIne Wine & Spirits, Whole Foods, and more. The tap room will also sell bottles of Last Snow starting at noon on February 4. Bottles will cost $10+tax and be limited to 2 per person.